Brickwork is one of many professional masonry services that we specialize in for Queens, Brooklyn, Manhattan, Long Island, Westchester, and Bronx, New York. Many people prefer brickwork construction of homes for a variety of beneficial reasons such as good insulation, lower maintenance costs, better home resale value, termite resistance, good sound insulation, fire resistance, and aesthetic appeal. However over years of exposure to natural weather conditions and freeze and thaw cycles, the brickwork and masonry’s condition will eventually start deteriorating. It is important to have your brickwork inspected and maintained periodically to protect your investment and guarantee safety for your home and family members. Request a Free Brickwork Estimate today or call 1-877-952-7425 for service from brickwork specialists you can trust. We offer detailed evaluations and are committed to providing clients with the highest level of quality service. Our experienced masons provide the most comprehensive brickwork service including new construction, brick repair, cracks repair, mortar repairs, tuckpointing, brick pointing, re-pointing, brownstone pointing, masonry pointing, stone pointing, brick replacement, and waterproofing. 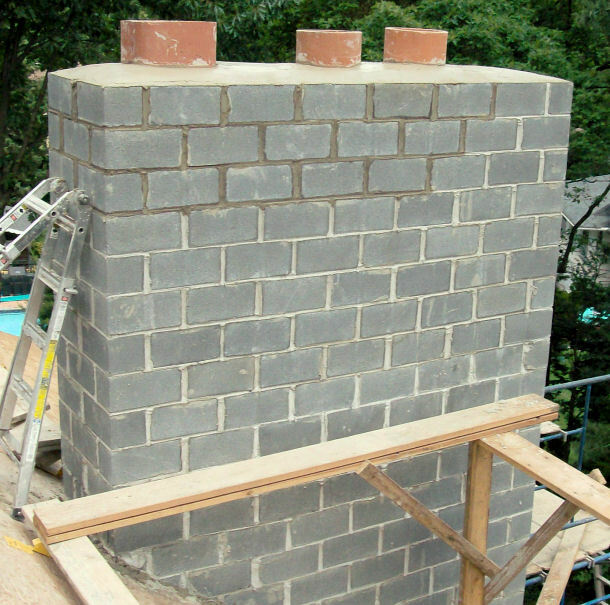 Don’t wait for brickwork and chimney problems to turn into a safety hazard or major expensive project and call the brickwork specialists at Chimney Repair NY today to fix all your problems efficiently and affordably. We want to help make your life safe and simple. Request a Free Brickwork Quote to get started or call 1-877-952-7425 to schedule an appointment. We have the solution to all your brickwork needs in New York.